Get crafty this Easter weekend with some of these ideas from Mr Printables. Above make a zoom zoom car for Mr and Mrs Egg to drive. Or stack your egg creations into a cool sculpture to display or give away. 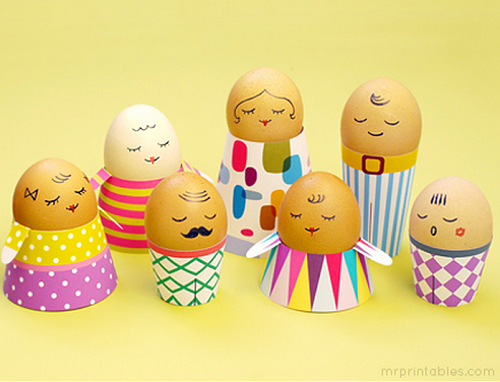 Have an Easter party with these funky egg characters - all dressed to impress! Easter need not only be about sweet treats (and then sore tummies!) - but creating fun and memorable experiences that tickle the imagination. Go to Mr Printables to download the free printable template files.